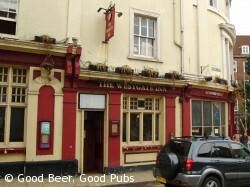 The Westgate Inn is situated on a busy corner by the West Gate at the top of the hill that becomes High Street. It is approx 3 minutes walk south of Winchester railway station. The outside of the pub currently appears a bit tatty but it’s just about to receive a major facelift. Inside though, the Westgate Hotel is very different – it’s clean with a friendly welcoming atmosphere. Helen, who has run the pub for 11 years has created a little oasis of calm, and there’s a good selection of newspapers to read. 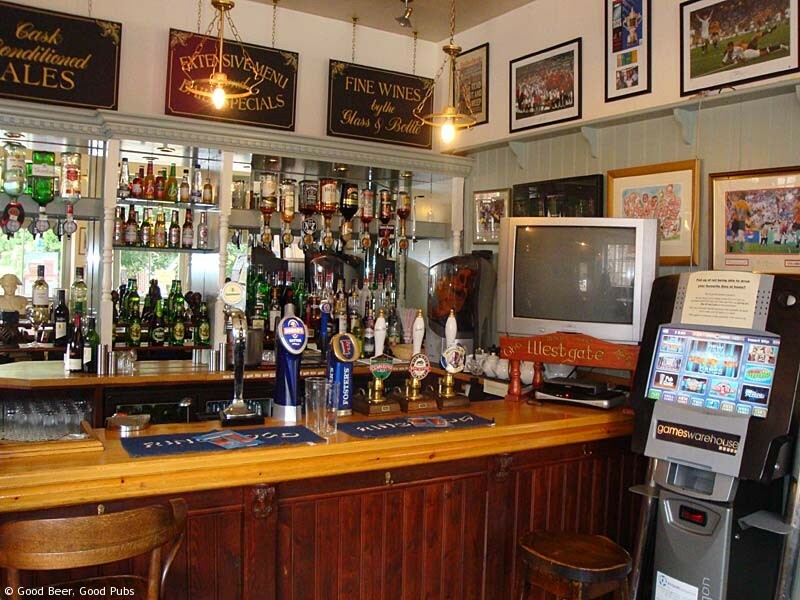 The pub is owned by Marston’s but but you’d only really know that from the real ale selection as the pub currently still carries its original Eldridge Pope branding – even on the hand pumps. The real ale selection varies and is chosen from the different Marston’s brands – Ringwood Best, Jennings Cumberland and Wychwood Hobgoblin on my last visit. Helen prepares all the food herself, but I’ve never eaten here. The Westgate used to be one of Winchester’s ‘must-avoid’ pubs in the 1990s when I lived in there, but now it’s certainly worth a visit.